Our narrator is Mr Ahmed Munshi (known as Chati Master – “Dada”). He was recognised by Ibrahim Dadabhai “Bekar” in his Patel Directory, written in 1955. After college, Mr Ahmed Munshi started his career as a teacher in 1940 at Rander (near Surat). He started with a monthly salary of Rs 15, but amazingly, he managed to save Rs 10. Bekar was his principal at MMP (Madrasiya Muhammadiya Piperdiwala) School at the time. On 14 June 1941, he was transferred to the village of Ikhar to work. He relocated to Ikhar in 1948 because of his work. Later on, in 1955, he was once again transferred to Tankaria High School. His wife, Mrs Amina Munshi was also a teacher. She retired in 1978. In 1980, Mr Ahmed Munshi was selected as a Tribal Subclass Officer. He was also the President of the Tankaria Retired Members Committee until 1985 and worked together with the district Panchayat to solve the pension problems of retirees. In December 1985, he moved to Chicago, USA with his wife and son, Mr Hanif Munshi, but remained an active member of the Gujarat State Pension Committee, Vadodara. Mr Ahmed Munshi passed away on 13 March 2012 in Chicago at the age of 90 after a short illness. He was the second oldest man in the history of Tankaria. He lived all his life helping others and never felt tired smiling. Whenever you saw him, he was always smiling. Whenever he met anyone, he displayed the smile of an innocent child who had met one of his most loved friends. In his life as a teacher, he not only helped his students reach high goals in life, but he helped their parents too. He helped the poor villagers where he was just a visitor or a teacher in the school. He helped the needy and illiterate people in filling out forms and getting their benefits from the Government. Even at the age of 88 – 89, he worked at the local masjid as a volunteer. Now, read the history of Tankaria in his words, the words of a person who has seen Tankaria more closely than anyone else. * This is why Mota Padar Graveyard is called Bhad Bhag Graveyard. 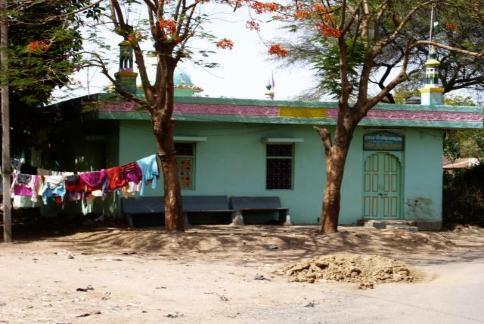 Many, many years ago there were two huge bungalows in Tankaria; one was in the West, which belonged to Musa Bapu Dehlawala, and the other was in the East, which belonged to Bagas Umarji Miyanji (remember this). In the Miyanji family, there were two brothers: Muhammad Umarji and Bagas Umarji. Bagas Umarji’s sons were called Banglawala. Why? Because he had a big bungalow! Now let’s look at the other big family of Tankaria, the Bhutawala family. It was said that, every week, Kara Ibrahim used to visit the four corners of the village on his horse and looked after the public wells. He also stopped the illegal possession of land. Note: We request anyone with more information about the Bhutawala family to send it to sab@mytankaria.com. Please provide us with full names and any other interesting facts. Tankaria’s Jam-e-Masjid was built during the rule of King Qutub Abdul Muzaffar Ahmed Shah Sultan. The masjid (mosque) was built under the supervision of the King’s young representative, Sayyed Ataullah, on 9th Rabi-ul-Awwal Hijri 857. This means that the masjid is over 570 years old and, according to some elders’ knowledge, the foundation of the minaret (shown above) is about 35 to 45 feet deep into the earth. This huge masjid was reconstructed in 1977. It can accommodate approximately 1,500 – 2,000 people at one time. Back then, we did not have any banks in Tankaria, so the masjid’s money was kept safe in a locker inside the masjid. No one could open the lock until the ‘Big Four’ sat together. Who were the ‘Big Four’? They were mutawallis (trustees) from the four bhags (parts) of Tankaria. Godar Dosa was one of them and he had the responsibility of keeping the key to the locker. He was very popular amongst the villagers. It was said that he had a license to cultivate opium for medicinal purposes. The other members of the four were: Kara Ibrahim Bhuta, Ismail Isa Dehlawala and a fourth person (please let us know if you know the name of the fourth person). Note: We request anyone with more information about the Godar family to send it to sab@mytankaria.com. Please provide us with full names and any other interesting facts. Tankaria is bordered by the tombs of Valis (people who devoted their lives to Almighty Allah and Islam). On one side, we have Hasham Pir Baba, on the other side we have Ashraf Shah Baba and on the third side we have Jumma Shah Baba. Even inside the Jam-e-Masjid there are two tombs. There are some very interesting facts about these people and their lives. A few decades ago, when they were rebuilding the Jam-e-Masjid, a stone was removed from one of the tombs accidentally. What did people see? People who were present at the time saw fresh flowers and an unstained cloth. It seemed like someone had been buried just a few hours ago. Ibrahim Sapa Hafezi, who was in charge of the reconstruction of the masjid, immediately asked the builders to put the stone back. Next time that you visit Tankaria, don’t forget to visit this tomb. 1. People say Ashraf Shah Baba used to work as a muazzin (the person who makes the call to prayer) at the Jam-e-Masjid. He was well known and very well respected amongst the community. One person (name unknown) who used to live with Ashraf Shah Baba assisted him to welcome the many guests that visited him and helped him with his daily duties. In that time, Tankaria was not connected by roads. People had to travel to Bharuch or Varediya by foot or by horse. The person who was living with Ashraf Shah Baba would pick up and drop off the guests from and to nearby transportation points. Ashraf Shah Baba always asked him “Did you ask for anything from my guests?” He answered “No” all the time. One day Ashraf Shah Baba asked him to go to Bharuch. During his walk to Bharuch, a thought came in his mind, a thought to act like a blind person. So, he walked a few minutes with his eyes closed. When he came back from Bharuch, Ashraf Shah Baba asked him “Did you get blind at a certain point in your journey?” He said, “Yes”. Then Ashraf Shah Baba said “It wasn’t in your luck”. People say it was a gold brick that he missed during those few minutes that he acted as a blind person. 2. In another incident, people saw something that was unbelievable. Jam-e-Masjid has a big hoz (pool for making ablution) and a deep well. This well has now been covered up for safety reasons, as it was no longer needed due to the improvements in the village water system. In those days, we did not have pipelines and people had to go to the well to bring water for drinking and other activities. In our masjid, this responsibility was given to Ashraf Shah Baba, who had to pull the buckets of water and fill up the hoz. He had to do this every night to make the hoz ready for making wudhu (ablution) at the next morning’s Fajr salat (prayer). However, people noticed something very strange. They never heard the sound of the bucket coming out of the well (as a bucket tied with a rope makes a distinct noise when pulled on the metal ring). Still, they would find the hoz filled with water every morning. So, the people decided to investigate this situation out of curiosity. One day, they hid behind the wall and watched what Ashraf Shah Baba was doing. Ashraf Shah Baba continued praying after Isha salat. He did not stop until midnight. When everyone left, he went to the well. What people saw was unbelievable. The water level rose on its own and Ashraf Shah Baba filled the hoz in no time. How? Why? Ashraf Shah Baba devoted most of his time to the ibadat (worship) of Allah. He did not want to waste his time and people say that was the reason Allah helped him with his job. He rose the water level up so that His believer could spend most of his time in ibadat. If we assess our life, we realise that we make excuses for not doing ibadat. We miss our salat because we have to go to work or we have to look after our businesses and shops. We have forgotten what our Prophet (peace be upon him) taught us. May Almighty Allah guide us to the right path. Ameen. Tankaria has always been first in new developments, whether it be higher education, sports, art or literature. Tankaria has produced more teachers, engineers, sportsmen, doctors, pharmacists and writers than any other village in the Bharuch district. Dr Alibhai Patel, a Tankarvi, was the first doctor in the Vahora community. The first Vahora to play at national level was a Tankarvi. A Tankarvi was one of the very few to go for further education to England before independence. Amongst the villages of the Bharuch district, the first high school was opened in Tankaria. These honours go to Tankaria because our forefathers worked really hard. They had vision, enthusiasm, strong belief in themselves and above all, love … love for their land. So, let’s talk about these people, their lives, their hard work and their love for Tankaria. Before independence (1947), education at the Tankaria School was primarily in Urdu. Gujarati was an optional subject. Isap Bapuji’s building was used for boarding. Students from the Bharuch district would come for Urdu education. The Bharuch District Board would provide them with free boarding and food. After independence, the Government of Gujarat made Gujarati a mandatory subject and Urdu became optional. So, the boarding building was no longer needed. 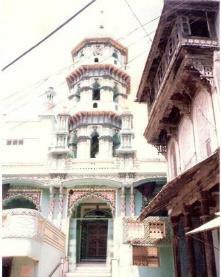 It was later used as a house by Isap Bapuji’s children. Isap Bapuji was the Sarpanch (elected leader) of Tankaria for a long time. He was a very kind and popular person. His grandson is Saeed Bapuji, a teacher at Tankaria High School and local leader. In approximately 1857, two brothers from the Kabir family came to Tankaria. They were freedom fighters. At that time, it was illegal to shelter any person who was involved in activity against the British Empire. Despite this, Musa Ibrahim Khoda granted them shelter. The two brothers asked every family in Tankaria to give one child for freedom fighting. Their famous slogan was “Beta ki jaan khilafat may dedo” (give your son’s life in the political protest campaign). The life before independence was hard, but inflation was at its lowest. A teacher’s monthly wage was Rs 15. Rs 1 = 16 Ana. 500g Meat = 4 Ana. 3 storey building for rent = Rs 5 per month. Tankaria to Varediya horse carriage ride = 4 Ana. You can imagine how cheap everyday items were. Transportation was very cost effective too. We didn’t have buses and the nearest railway station was Varediya (thanks to the British Government). There were horse carriages to carry passengers from Tankaria to Varediya and vice versa. Devram Mota was the President of the Horse Carriage Association. Six to seven passengers could travel at one time. The cost was 4 Ana per person. One trip would make Rs 1.7 for the horse carriage owner. Since the last train was at 8 pm, and all the commuters would come at that time, they would take horse carriages to get to Tankaria. Don’t we still follow that tradition? The last train still comes at the same time … only the name has been changed. Now it is called the Bhaktani Express from Vadodara to Palej. Buses and rickshaws have replaced horse carriages and it costs Rs 7 – 10 to get to Tankaria from Palej. As we are talking about the people and their lives, let’s talk more about some Tankarvis in detail. “Janaab” Muhammad Valli Pavariya: Back then, he was the personal assistant of the Nawaabs* of Junaghad. He had the kind of reputation that people would dream of. He had a car and, whenever he visited Tankaria, people used to say “Hati jazo, Pawariya ni car aavi” (move out of the way, Pavariya’s car is coming). You can read more about his son, “Janaab” Ibrahim Muhammad Valli Pavariya, in our extract from Bekar’s Patel Directory. He represented the Gujarat state at the National Cadet Cops. Adam Ismail “Mustufabadi”: He was a very famous name among Tankarvis. He had a clothing business. After coming from Africa, he started a clothing business in Tankaria. On any occasion in Tankaria, you could expect his speech. You can see his picture in our Sweet Memories photo album. Dr Alibhai Patel: You can read about his life in our extract from Bekar’s Patel Directory. He was the first certified doctor from the Vahora community. His clinic was in Ankleshwar. He was also the president of the Muslim League. The people of Tankaria still remember the wedding ceremony of his son. When his son got married, he invited the entire village and hired a team of professionals for the fireworks display. There were fireworks in every street of Tankaria. In addition, he hired the ‘Gayakwad Band’ (a very famous musical group during those days) for the entertainment of the villagers. There was a ‘Fulku’* all night long. After India gained independence from its British rulers, he went to Pakistan with his family. Khatki Munshi: He was the principal of Tankaria Primary School. He was very clever and would remember the hand writing of a person just by looking at it once. He would recognise that hand writing the next time he saw it. His daughter was a doctor and she lived in Ahmedabad for a while. According to the latest information, his family now lives in Chicago, USA. His granddaughter is married to Gani Seth Khandhiya’s son, Fayaz Khandhiya. Musa Mukardam Patel: There is a very interesting story about Musa Mukardam Patel. According to our narrator, Mr Ahmed Munshi, Musa Mukardam Patel used to keep a diary with him all the time. After every Zohar salat he would ask the Dariya Vahu (midwife) about any new born babies in the village. He would write down the birth dates of those babies along with their family names. On the fourth day, he would ask the Dariya Vahu what names were given to those babies by their families and he noted them down in his diary too. Mr Ahmed Munshi said that he had seen his date of birth in Musa Mukardam Patel’s diary. Musa Mukardam Patel had two sons. Ahmed Patel and Ali Patel. What interesting people … what caring natures … hats off to them! * Nawaabs: Before independence, India was divided into territories. Every territory was ruled by a King or Nawaab who would come under the direct control of the British Empire. * Fulku: A tradition in which a group of people would play traditional music using drums. It usually starts after sunset. What is meaning of Tankaria? And this Mustufabad to Tankaria? Hoping for response. Why did they changed the name of their village?